Pancreatitis in dogs or canine pancreatitis is the inflammation of the pancreas. The pancreas is an important part of the digestive system as it produces the enzymes needed to digest food properly. When the pancreas becomes inflamed, the flow supply of enzymes is disrupted and they end up moving out into the rest of the body. Pancreatitis is considered to be a mild to serious condition. In serious cases, the enzymes that are redirected away from the digestive tract and into the abdomen begin to break down the fat and proteins in the dog’s essential organs. In this case, the misplaced enzymes are causing the body to digest itself. The organs that are usually affected first are the kidneys and liver. Their close proximity to the pancreas means that once the flow of enzymes is disrupted, these essential organs are the first to be attacked. Although pancreatitis is a serious condition if left untreated, it can usually be treated without any permanent injury to the animal’s organs. If left untreated for an extended period of time, however, severe organ damage can occur, followed by brain damage, shock and possibly death. The causes of pancreatitis vary and can include changes in diet or an allergic reaction to a proscribed medication. The condition can affect all breeds of both dogs and cats, however there are a number of breeds that seem to be more susceptible to developing the condition. There is currently no cure for the condition. Veterinarians will usually admit the affected animal to hospital and address any infections, dehydration and trauma caused by pancreatitis. Here, under observation, the pancreas is allowed to heal on its own. Pancreatitis can cause a number of serious symptoms, depending on the severity of the condition. The symptoms of pancreatitis are not unique to this condition and the illness can often go overlooked or be misdiagnosed, allowing the condition to become more severe. Among the symptoms are a sore or swollen abdomen, fever and uncomfortable appearance. If you notice any or all of these symptoms, see your vet for immediate assistance. Loss of appetite. If your dog isn’t showing the usual enthusiasm for their food this is a sure sign they’re not well. While a loss of appetite can suggest a number of possible illnesses, this is often associated with more serious conditions. Difficulty Breathing. If your dog’s pancreatitis becomes advanced, then a number of important organs can become inflamed and will cause the animal a great deal of pain and fatigue. An intolerance to exercise, depression and severe breathing difficulties are all signs of serious illness. Dogs will vomit from time to time for a number of reasons. However, if you’re noticing that your dog is vomiting or retching more often than normal, pancreatitis could be the cause. Abdominal pain. While abdominal pain is also a symptom of dog bloat, a serious condition of the stomach that can result in death, tenderness around the belly is another sign of pancreatitis. If you hear groans or a whimper whilst gently pushing against your dog’s abdomen, it’s time to see the vet. Pancreatitis can cause severe diarrhoea and vomiting. This can lead to dehydration if not carefully managed. If your dog has had soft or watery stool for more than a week, it could be a sign of a more serious illness. Pancreatitis will present some serious symptoms, especially in the later stages. Fortunately, if these symptoms are identified early and veterinary care is sought immediately, pancreatitis will usually cause no permanent damage.  Your vet will conduct a number of tests to first determine if your dog is indeed ill and whether or not they are suffering from any other conditions. Because the symptoms for pancreatitis are common to a number of other mild and more serious conditions, a thorough physical exam, followed by a blood test will usually be carried out. Your vet will ask about your dog’s health history and will likely question you about the dog’s environment, their diet, as well as the level and type of exercise they enjoy. For example, if your dog has recently enjoyed a particularly fatty diet, then this could point to pancreatitis. A complete blood count is taken as well as a chemistry panel and urine test. The blood levels of two types of enzymes may be obtained. Another way to diagnose pancreatitis in dogs is to perform the canine pancreatic lipase immunoreactivity test. The test is designed to pick up any signs of an increased level of the pancreatic lipas. Further diagnosis tools include x-rays and ultrasounds. Also, a simple biopsy will produce a conclusive result, however they are not often performed. Although there are a number of tests that will help a veterinarian to determine whether you dog does indeed have pancreatitis, many diagnoses can be made by performing a simple but thorough physical examination. There is no cure as such for pancreatitis. The condition causes a number of problems within the animal’s body, including severe infection, dehydration, malnutrition and pain. If your dog is diagnosed with pancreatitis, they will most likely be admitted to hospital for close observation and advanced care. It’s likely that they will stay for a minimum of three to four days and in some cases will be required for much longer. The aim for treating pancreatitis is to make the affected animal feel comfortable and stress-free while treatments for infections and malnourishment can be properly administered. The first step is to make sure that the blood within the pancreatic gland must be maintained. It’s also important that the pancreas isn’t stimulated to produce more enzymes during recovery. The management of abdominal pain, together with treatment for any infection will then take place. Intravenous fluid is usually required, especially as the vet will often try to keep the dog off food and drink for a couple of days to help the pancreas recover. Once any inflammation to the pancreas and surrounding organs is addressed, the pancreas will usually heal itself after a number of days or weeks. Surgery is a rarity in the case of pancreatitis but typical associated conditions that may require surgery include bile duct obstruction, inflammation of the abdominal cavity and pancreatic abscess. Once the animal has spent a few days in hospital under observation, it’s likely that they will be returned to you without any serious lasting effects. If the condition isn’t diagnosed early and the condition becomes severe, treatment options are limited. Pancreatitis can cause the surrounding organs to become inflamed and can even affect the brain. Although it’s not entirely clear what causes the onset of pancreatitis in dogs and cats, vets believe that fatty diets and over feeding has something to do with it. In order to prevent the onset of pancreatitis, vets suggest that obese dogs be put on a strict diet that excludes unnecessary fatty components. It’s also suggested that dogs be shown affection with physical affection rather than treats. 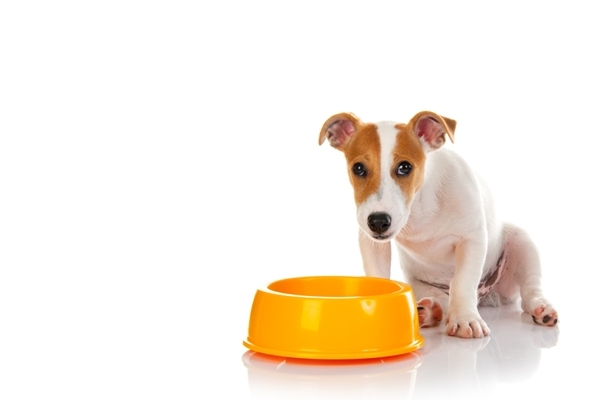 Dogs should be a couple of smaller meals twice a day rather than one big meal at one time. It’s best to not feed dogs immediately before they are likely to go to sleep also. A high level of carbohydrates in the diet is also a concern and should be monitored closely. Outside of a healthy diet and exercise regime, it’s thought that some of the causes are simply genetic and cannot be avoided. The best way to prevent your dog from developing pancreatitis is to have them checked by the vet regularly. Pancreatitis commonly affects middle-aged to older female dogs. 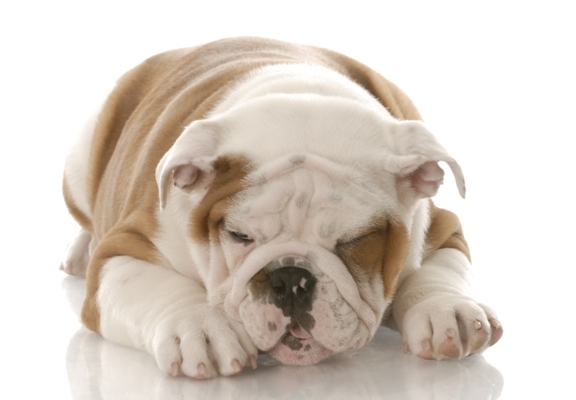 The chance of an obese dog, an animal that doesn’t get much exercise developing pancreatitis is also highly increased.  While the condition can affect all breeds of dog and cat, there are a number of breeds that appear to be more susceptible to developing the condition. One of the most common breeds to develop pancreatitis is the Schnauzer. In most cases pancreatitis is a mild condition and your dog is likely to recover fully. The disease is fast moving, however, and can begin to seriously affect your animal’s health within a couple of days. It’s not only diet and genetics that are thought to bring about pancreatitis. The condition can develop because of other conditions and illnesses that animal may have. Diabetes and hypothyroidism both alter the metabolism of the body, leading to a higher risk of developing the condition. The enzymes by themselves are not normally harmful to the dog’s body. When the pancreas becomes inflamed and the enzymes are released too early, they enter the animal’s abdomen and begin to break down the fat and proteins in the other organs. 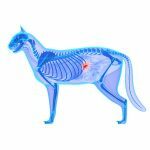 Pancreatitis in cats Pancreatitis, is a relatively common disease in both dogs and cats with no clear specific cause of the condition. Read about feline pancreatitis treatment.